Three men and two women are officially in the running for the vacant seat on Sackville Town Council, giving municipal voters a wide range of choices on election day, Monday December 10. Three of the five candidates responded to my request yesterday for a photo, a brief bio and a statement outlining why they are running for the seat held by Megan Mitton, who resigned from council after being elected to the New Brunswick legislature last month as a Green Party candidate. Former councillor Shawn Mesheau was the first to file his nomination papers with Elections New Brunswick. Mesheau, who has already served three terms on council (1998-2001; 2001-2004; and 2012-2016) says he was considering running again in 2020 when this vacancy came up after the provincial election. “With only 16 months until the next municipal election, it makes sense that my experience would allow for a smooth entrance to join the existing councillors and forge ahead,” his e-mail says. Mesheau, who has extensive business experience, says eight economic sectors need to be nurtured including business, retail, tourism, agriculture, the environment, culture and the arts, and the university. “We are doing well at four of those and need to dig deeper when it comes to business development, retail, tourism and agriculture,” he concludes. A news release issued on his behalf says Mesheau works for Blugenics Innovations in Sackville, where he is Key Account Manager for large national retailers. To read Mesheau’s complete statement as well as the news release, click here. 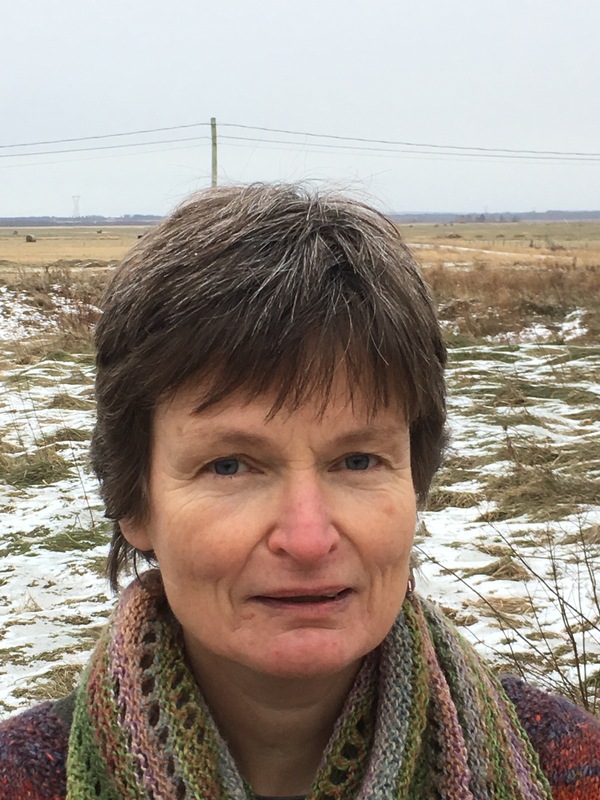 A committed environmentalist with a PhD in biology and a Master’s degree in environmental studies will also be on the ballot in the Sackville by-election. Sabine Dietz, who managed Megan Mitton’s successful provincial campaign, says in an e-mail that her extensive experience working with communities of different sizes across the province has made her aware of basic issues. “I understand the immense challenges municipalities are facing such as flooding, helping our seniors, working with our youth, or protecting the environment,” she adds. “I like the direction our Town has been heading, looking at and supporting innovative approaches to some of our challenges, despite some hiccups along the way. There is so much more we can do for us to grow and make us more sustainable, and I would like to be a part of it,” her statement says. 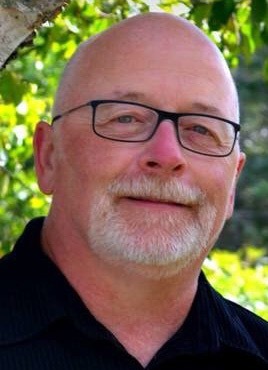 Dietz, who ran unsuccessfully for the Sackville mayoralty in 2012, has worked as a program and project coordinator on environmental projects since the mid 1980s. In 2013, she co-founded the Aster Group, a co-operative environmental consulting firm. To read her full statement and brief biography, click here. 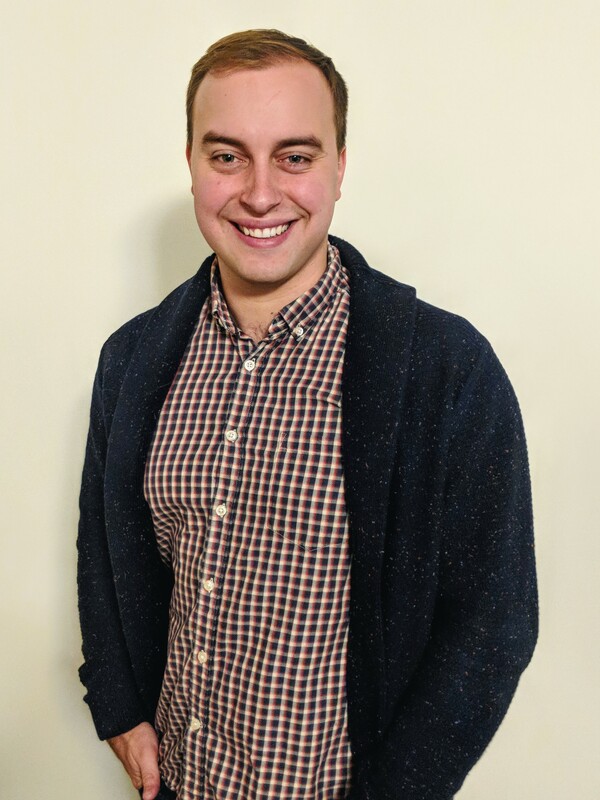 A former president of the Mount Allison Student Union is in the running for the vacant seat on town council. Dylan Wooley-Berry also served as a student representative on the Mt. A. Board of Regents, the university’s highest-governing body. In 2016, he was a prominent leader in the successful campaign against budget cuts that could have killed the Mount Allison Women’s and Gender Studies program. In his e-mail to Warktimes, Wooley-Berry writes that after graduating from Mt. A., he moved to Ottawa where he worked for more than a year in the office of the Minister of Fisheries, Oceans and the Canadian Coast Guard before deciding to move back home to Sackville. “One of the things I would like to see our town change is how it bills residents for water usage,” he says, adding that residents should pay for every litre they use, to encourage them to conserve water. “The current minimum payment scheme is not environmentally friendly as it creates economic incentives to consume more water,” he says. To read Dylan Wooley-Berry’s brief biography and statement, click here. Two candidates, who ran unsuccessfully for council seats in 2016, did not respond to my request for a photo, a brief bio and a statement about why they were running. Both Brian Neilson and Julia Feltham are heavily involved in Sackville community activities. Neilson is a member of Sackville Schools 2020, the group lobbying for replacement of Sackville’s crumbling schools as well as adoption of new collaborative and experiential learning methods. Feltham, who is a professional consultant and community developer, has worked for Renaissance Sackville and more recently with the Sackville Commons, an organization she helped establish. This entry was posted in Town of Sackville and tagged Brian Neilson, Dylan Wooley-Berry, Julia Feltham, Sabine Dietz, Shawn Mesheau. Bookmark the permalink. Thank you for this article. Good luck to all. I do not know anyone personally, so I can allow myself to share some thoughts :). Personally, I am happy to see the name of Mr. Meshau among the choices of candidates. I say this because I appreciate his wisdom (on this platform– directly or not). He is down to earth, for sure, and seems decent (genuine) to me. Plus, on a lighter note, one of my nieces is called Karen (yes, I am naturally biased :)). With all due to respect to our all our other candidates, I personally prefer if we do not replace Ms. Mitton with someone with the same political vision/trend as her and her predecessors. I say this because I think more independence of thoughts and more political diversity would be healthier for our greenish bubble (I say this even if I like the green colour). Most importantly, I personally think that we need people who would honestly speak to the elephant in the room: Waste of tax payers’ money and real issues (just read earlier editions of the Warktimes and you will see what I mean). For me, Mr. Meshau seems to be the closest to perhaps bringing a much needed reform to Town Council with regard to the elephant in the room. Like him, I see the need for an improved integrated strategy for economic development (good to see the environment among his ideas). Again, with much respect to our other candidates, they may have interests in ideas beyond Sackville Town limits. Will their interests be what the average local Sackville citizen need? Rima, the Committee to Elect Shawn Mesheau really appreciates your supportive comments. Thank you Sharon :). Noted. Good luck… and good luck to everyone. It would be fantastic to see Sackville building on its LOCAL assets (ilocal citizens’ heritage, knowledge, innovations, etc.) to re-invent its economy and to foster a continuous culture of integrity. Although there are no two communities that are similar in a similar region…. imagine how different they can be in different continents, one in the Levant and one in North America. Despite this, please allow me to share an example of a village in Lebanon that has a creative municipality. It is called “Dhur Shweir” (1,200 m or 3,900 ft elevation in Mount Lebanon; about 42 Km away from Beirut). We are talking about a very diverse small country (18 different religions). The citizens of this village (a superb summer resort) happen to be predominantly Christian: half Greek Orthodox (like myself, by the way) and half Melkite/Maronite (= Roman Catholic). I do not know if you know this but our Western Easter and the Eastern Easter do not always coincide (sometimes they do). The whole world does not agree on the timing of Easter (calculations based on different calendars). As a result, the lucky Lebanese students have two long vacations for each Easter (+ many days off for all the other religious “fiestas”). You can perhaps imagine how ridiculous it is to celebrate resurrection twice (although it is fun to eat chocolate at any time!). Well, the village in question decided not to follow the rest of the world (+ own country’s) calendar by uniting Easter. To the best of my knowledge, this village is the only place in the world that did such a thing. For a country that has suffered civil war (1975-1990), it a is quite symbolic. This opportunity became an inspiration in the whole region, in addition to becoming a touristic Easter vacation destination (the municipality built on this spiritual common sense to further its economic strategy). I know this is likely a trivial and unrelated example to our reality here in Sackville. Nevertheless, I think it remains a good example of a municipality that has succeeded in listened to its local citizens and in daring to think out of the box in something as simple as a vacation, even if Easter is much bigger than Christmas there (ie., cultural-spiritual-economic innovation). To come back to our Sweet Little Sackville, I say onward and best wishes! Rima, you have extremely well bundled up my same thoughts. Thank you. Hopefully in the future our Town Council will make all of their decisions based on our Sackville citizens ‘needs’ and not just of our management ‘wants’. And the sooner the better!!! While Mr Mesheau seems to me like he has local interests more at heart than the other candidates, I will not be voting for him regardless, as I haven’t forgotten his vote on Council against me for being a witness at the Assessment and Planning Appeal Board about the Town’s permit shenanigans, and my ensuing experience with what passes for a legal system in New Brunswick. Nobody who supports that kind of thing, directly or indirectly, will ever get my vote. I think I’ll abstain in this by-election, for want of any candidates worth the trip to the ballot booth. Once again, to me this speaks of the need to have fewer Councillors for this size of population. Louis, your legal saga is a dark moment in our town’s history :(. You surely did not deserve this ordeal in your (and our) life. Thank you for all what you did for Sackville and for sake of justice. As far as I am concerned, I say: Too bad, there has been no public apologies and no lessons seemed to have been learned from this legal saga related to the old white beautiful church. Sometimes, it takes people time to put their pride behind or to recognize that something they did or did not do was unfair. It is human nature, I guess. I have written it once: Not everyone has the courage of Councillor Bruce Phinney. There is also group dynamics (in addition to political shenanigans). At other times, we prefer to deliberately silence someone instead of listening, as it can challenge our (mis)behaviour. The legal saga you are referring is just one symptom of the syndrome of self-righteousness of those whom we have chosen to govern us. Luckily for us and for Sackville citizens, our town also does good things like snow removal, fire services, other services. To keep moving forward, we focus on those good things and we keep our hope alive. I trust that better Sackville times are ahead! In other terms, I will remain optimistic in human nature :)… In addition, I am happy to see that, although you will not be voting, you recognize that *While Mr Mesheau seems to me like he has local interests more at heart than the other candidates*. I usually trust your judgement in life and admire your ethics. Your words reassure me that my perception from this virtual platform at least is accurate. If Sharon Hicks and Percy Best also see this, I am even more reassured :). Sean Mesheau? He’s been on council three times already. Maybe it’s time for some fresh ideas. It seems illogical to keep doing the same thing over and over and expect the result will be different this time around. ADB, whoever you are? As you are well aware it is the majority vote that rules Council’s actions. Two or three or even four out of eight can present fresh ideas but if they are voted down then those ideas are thrown out the window. I sort of go along with the ‘learning from experience’ concept myself and someone that has seen it all is far more likely to make wise decisions based on that said experience. It is, of course, generally beneficial to hire someone for a job who has done the job efficiently before instead of having to go through the apprenticeship program with them. BTW his name is Shawn. @Percy Knows Best, You are right. Being an effective councillor takes more than just good ideas. One must be a consensus builder in order to move those ideas forward. Mr. Mesheau does not come across as a consensus builder, his approach is adversarial. The other candidates are all involved in community building and working with others. It also seems that Mr. Mesheau and Councillor Black work for the same private employer, two councillors from the same business in a small town should raise a red flag. Comment from Bruce Wark: Thanks for the suggestion Percy. I’ve increased the comment display from 5 to 15, the maximum I can show using this WordPress theme. While my site is attracting a good number of readers, I tend to get comments from a small number of them. I’m grateful that readers take the time to write comments and I post nearly all of the ones I receive even when the same person is commenting repeatedly. The problem with the way my blog is set up is that each post and each comment drives previous ones down the list and after a while, out of sight. Displaying 15 comments will help keep them visible a little longer. My reply is to ADB (but I cannot reply directly as we have reached the maximum of comments). How about the over-representation related to the university? How about the town’s over-representation related to eco-energy, etc.? We are a small town. These things risk happening, even when not forced. I think it is unfair to say that candidate Meshau and Councillor Black’s presence should raise a red flag. It would be double-standard red flag, it seems to me. Again, I am saying this without knowing neither Mr. Meshau nor Councillor Black. Best wishes to all. I’m voting for Julia Feltham.. then I can put her on the hot spot officially about her participation in ‘moving’ the firehall into Lafford’s waiting hands… well done Bruce.. good write up.